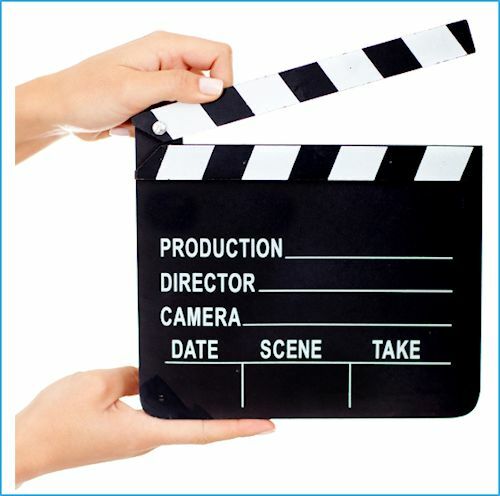 Video testimonials are important to anyone in the marketing business. That’s you. If you offer continuing education opportunities to the public, you have a product to sell. The same goes if you conduct internal training that’s required for employees, because you need to create interest and excitement about the content you must share. You can tell your audience why your course How to remove belly button lint during a senior management meeting without anyone noticing. is worth their time. If you really want to be effective, have your satisfied customers—previous participants—say it for you. Your customers will give the word of other trainees/students a lot more weight than they’ll give your word. Once you buy into the importance of third-party validation, take the extra step and produce a video testimonial. These three tips will help ensure successful, stress-free process. Keep it relaxed. Explain to your subject what you’re after before the camera rolls. Don’t use a script. By keeping it informal, you’re more likely to unearth an off-the-cuff nugget of information. The recording session should be like a regular conversation, except one that is repeated until you get what you’re after in a concise time chunk. The first time your interviewee gives an answer—assuming it’s not terrible—praise them for a job well done. Tell them you already have what you need. Then go through the question/answer process a few more times just to make sure you get it a solid, editable take. Keep it short. Nobody has time to hear a life story. If the video testimonial goes well over 30 seconds, it should include at least one close brush with death and real tears. Using a continuing ed class as an example, your video testimonial provider should say why they chose the class, what they gained from it, and what they believe others would find uniquely beneficial by taking it. Make it high quality. Don’t believe the hype that anyone can shoot quality video testimonials on their iPhone. The secret to good video isn’t just the camera. It’s lighting, lighting, lighting. Professional lighting can make the difference between your subject looking like an escaped criminal and a trustworthy source of information. You can achieve high-end video without paying out the wazoo. If you don’t have an in-house video option, Thumbtack is a good source for inexpensive video crews. You can also find a good pet groomer, if you’re into that. Post your video in places where it will be easy to find, such as your company website, YouTube, or Vimeo. You can then share it on social media like Facebook, or as a link that’s part of your email signature. Learning Stream includes testimonials as part of an introduction to our registration management software. Have questions about video testimonials or want to learn more about Learning Stream? We’re excited to hear from you.